Have a ball using these masquerade party ideas and themes to plan your next costume party. If your are planning a masquerade party for teens or young adults, it is important to choose themes and activities that appeal to this age group. A celebrity theme is very popular, and guests can come disguised as a favorite singer, movie star, or athlete, wearing a mask of course. You could even set your party up as an awards show complete with a red carpet. Designate a few people to play a "media" part with microphones and video cameras and have them interview your "famous" guests as they arrive. Centerpieces can be replicas of Oscars, Grammys, or other awards carved from styrofoam and painted gold. A stage could be set up so your guests could "show off" their talents. Decorate the walls with movie posters and magazine covers, and if your budget allows, even rent a spotlight. Invitations could also be cut out in the shape of awards, movie cameras, or limousines. You could even create your own mini tabloid with the headline "Superstar spotted at exclusive party…". Include your guest's name, and if possible, a picture. Party information can be printed inside. 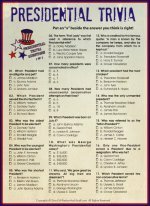 Activities could include 20 questions, celebrity trivia or a talent show. Prizes could include music cds, dvd's, or movie theatre gift certificates, and can be given to the person with the best costume, the guests who guesses the most "real" identities, and even the person who manages to stay the most incognito throughout the evening. A Cinderella ball is also a great choice because it allows your guests to dress extravagantly and step into a romantic, fairytale world. Girls can come in ball gowns or prom dresses and boys can wear suits. To decorate, hang lots of Christmas lights from the ceiling and along the walls, wrap them around plants or trees, and string them along table edges. Scatter silver confetti or clear beads across tables, and use elegant high-heeled shoes filled with flowers as centerpieces. Everything should sparkle. Set each place with a champagne glass - fancy plastic ones can be purchased at a reasonable price - and have bottles of sparkling cider and juices on the tables. Of course, candles are a must, and if you can manage to find candelabras, they will add just the right touch to your party. You could even designate a "prince" who mingles through the crowd with a fancy "slipper". Any lady who fit's the shoe, wins a prize. If you can afford it, hire a DJ, if not, play music through a sound system. Your guests can dance, play board games set up at small tables, or just spend the night trying to determine who all the masked guests really are. Invitations can be shoe-shaped with glitter or fancy beads glued on the front. If you have access to a discount store and you are able to hand deliver your invitations, you could purchase real shoes, write the party information on an insole and insert it into the shoe. Favors and prizes could include fancy chocolates, gift certificates to a spa, or bath and beauty products. 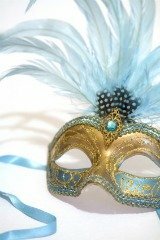 Adult masquerade parties are especially popular as a New Year's Eve celebration or to commemorate a milestone birthday. A Medieval/Renaissance murder mystery party is a great choice because it allows your guests to choose from a variety of costumes that appeal to individual personalities and preferences. Ladies could wear the long, plush velvet gowns of Guinevere, the simpler dresses of the renaissance maiden, or the more comfortable peasant or gypsy costumes. Gentlemen could come in the long cape or fancy attire of a king or noblemen, or they could opt for a crusader, a knight, a musketeer, or even a court jester. Print your invitations in calligraphy (may be computer generated, although hand drawn is more authentic) on brown paper and roll them to look like scrolls. They could also be folded and sealed with wax. Rectangular tables should be put end to end to form long rows. For table decorations, purchase small wooden trunks or boxes that look like treasure chests and fill them with gold wrapped chocolate coins. Decorate the walls with tapestries, coat of arms, and fake swords. The only lighting should be provided by torches and candles. Find thin pieces of wood or boards and use them to make signs indicating various stations, such as food table, bathrooms, games, or entertainment. The signs should also be written or carved in calligraphy. If you can, create booths or small tent areas for each section. Since jugglers, mimes, and minstrels were indicative of the medieval/renaissance period, you could build a simple wooden stage and allow your guests to try their hand at these skills. Other activities could include blind man's bluff, card games, or a jousting contest (using fake swords, of course). Prizes and favors could include small treasure chests filled with chocolate coins or other goodies, and books of poetry or the works of Shakespeare. Since your guests will be solving a mystery, it is important to give each person the information or clues unique to their character well ahead of time so they can prepare their costume. You could also leave clues around the venue or hide them in inconspicuous spots for observant guests to find. Scrolls containing hints or clues written in old English could be placed at various stations. It would even be extra creative if you could use quotes from a Shakespearean play. Your guests would have to "interpret" these quotes to help them solve the murder. Of course, the Victorian era has often been associated with masquerade parties - although they actually have their roots in Shakespearean times - so a Victorian theme is always a favorite choice for an adult masquerade ball. Invitations should be written on very elegant stationary, and considering the value of etiquette, should be worded very formally. Writing your party information on a lace fan, or a hat shaped invitation with a feather attached are other creative ideas. Request that your guests come in appropriate costumes and masks. You may want to include a plain mask with the invitation, as well as some embellishments or pictures of finished masks. Decorating should be very simple and understated. Use ivory lace tablecloths and put roses, pansies, violets, or lilies as centerpieces. Flowers are a key part of Victorian decorating, so also put them in several places around the venue. Remember this theme requires sophistication and charm so everything should be fancy without being over done. You can hire a stringed quartet or play classical music while your guests socialize. If you have the resources, you could hire a photographer to take black and white photos of your guests (in their masks, of course) for you to frame and send as thank -you gifts. Card games were popular among the Victorians, so have tables set up for games and several decks of cards available. You could also play charades - which is especially fun since everyone is in a disguise - The Name Game, or other parlour games. You could also incorporate a mystery, or set up a stage and perform re-enactments of important historical events. Food should be served on china dishes if possible, and cups and saucers, not mugs, should be available for hot beverages. Since tea was a very important aspect of the Victorian social life, be sure to have several varieties available as well as an elegant punch. Food can be simple pastries, sandwiches (without the crusts), crackers and cheeses, and fruits surrounding a chocolate fountain. Prizes and favors could include Victorian fans, picture frames, classical music cds, and baskets of dried fruit, nuts, and candies. Choose one of these masquerade party ideas and customize it for your age group and event. A winter wonderland masquerade party is a very elegant and sophisticated choice. Your venue can be decorated in all white and silver, with plenty of lights, candles, and glow-in -the-dark stars. Cover tables in blue cloths with silver accessories and use snowball shaped candles placed on mirrors as centerpieces. Spray on snow to decorate windows or other appropriate surfaces. Have all your guest come dressed in white. A chocolate fountain is a great addition, and it can even be flowing with white chocolate. Invitations can be made inexpensively by cutting out snowflakes and sprinkling them with glitter. Phantom of the Opera is a very popular masquerade party theme. Simple invitations can be made by designing a phantom mask pattern and putting the party details on the back. If you can afford it, you could have a single red rose delivered to each guest's home. In the box, include a card with the party information. Request that all your guests come dressed in black and white. An effective atmosphere can be created by draping dark fabric on the walls or up staircases. Cover tables with dark red, black, or gold tablecloths and use vases with red roses as centerpieces. Candles should provide the only light, and music from various operas could be played. With a Western theme you can step back in time and create your own frontier village by covering the floor with sand colored paper, painting store fronts, and building split rail fences from thin boards or cardboard. Cut cactus from cardboard, or use real ones if you have them. You can even create a ranch entrance and carve the name of your "homestead" into wood or print it on cardboard. Centerpieces can be made by filling cowboy hats with wildflowers. Find posters of great western movies to decorate the walls, and place saddles, spurs, barrels, wagon wheels, or whatever else western you happen to have, around the venue. Ask guests to come dressed in theme. Ladies can come as cowgirls, Indian squaws,pilgrim or fashionable displaced Victorian ladies. Gentlemen can dress as cowboys, Indians, or even the county sheriff. Create a wanted poster and use it as the invitation. Activities could include a "gold rush" treasure hunt, a square dance, or card games. Prizes could include hats, bandannas, vests, boots, or country music cds. A futuristic or science fiction theme party is a great choice because it allows your guests to employ their creativity and imagine what the world will be like several decades in the future. If possible, cover the walls of your venue with black paper, and ensure that all windows are covered or blackened. Purchase glow in the dark decorations and light sabers from your local dollar store and attach them to walls, scatter them on tables, or hang them from the ceiling. Cover tables with tin foil and use silver plates, cups and napkins. For centerpieces find inexpensive hard hats or bowls, cover them with tin foil and attach t.v. antennas, visors, or flashing light pins. Hang strings of lights to look like stars. If your budget allows, rent a fog machine or strobe lighting. You can even set up outdoor decorative lighting on the floor and use blue light bulbs for a futuristic effect. If you are really creative, you can construct a dome over your food tables or build a time tunnel for guests to enter through as they arrive. Find cds of computerized or synthesized music to play, or go on -line and check out some of the futuristic bands. Set up televisions and play science fiction/futuristic movies such as Star Wars, War of the Worlds, or even the Jetsons. You could also modify some of these decorating ideas to create your own space station, spaceship, or city on the moon. Set up Xbox 360 or Playstation areas so guests can play futuristic video games. These games can be rented for cost effectiveness. Provide metallic wrapping paper, tinsel, glittery material, silver boots, jewelry, or anything else you can think of, and have your guests design 'futuristic' clothing. Have a fashion show and award prizes to the most creative fashionista. If your venue is large enough, rent or purchase laser tag kits or play glow-in-the-dark bowling or mini golf. Food can be cut into interesting shapes, placed on mirrored tiles, or sprinkled with candied silver balls found in the baking section of the grocery store. You can even ask your guests to bring their own non-alcoholic "drink of the future" creation and have a taste testing station set up for sampling. Simple invitations can be made by wrapping packages of glow in the dark bracelets or necklaces in tin foil and attaching the party information to the front. You could also wrap the package in black paper and print the details in silver marker across the front. Purchase light sabers and write the invitation along the blade (most dollar store versions collapse to make your invitation more compact and easier to handle). Both of these choices are not only simple and inexpensive, but they provide your guests with the first piece of their masquerade costume. Guests may also wish to outline their masks with glow in the dark tubes or use face paint and wear glow in the dark glasses in place of a mask. Have a countdown clock, beginning with your futuristic year of choice and counting down throughout the evening. When the counter reaches the current year, all the guests unmask, revealing their true "present day" selves.